Citrus yellow color. lntense fruity aroma. 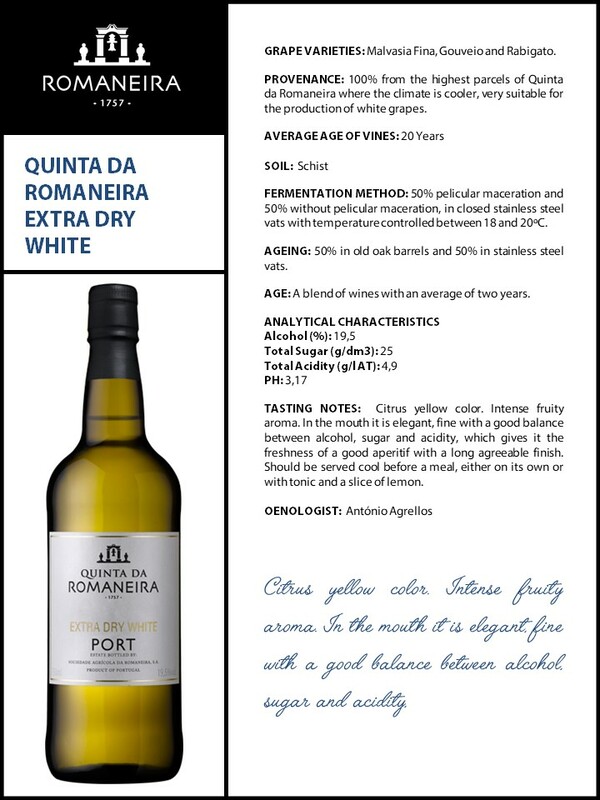 ln the mouth it is elegant, fine with a good balance between alcohol, sugar and acidity, which gives it the freshness of a good aperitif with a long agreeable finish. Should be served cool before a meal, either on its own or with tonic and a slice of lemon.